grimshaw architects was founded by sir nicholas grimshaw in 1980. the practice became a partnership in 2007 and operates worldwide with offices in new york, london, melbourne, sydney and doha employing over 400 staff. 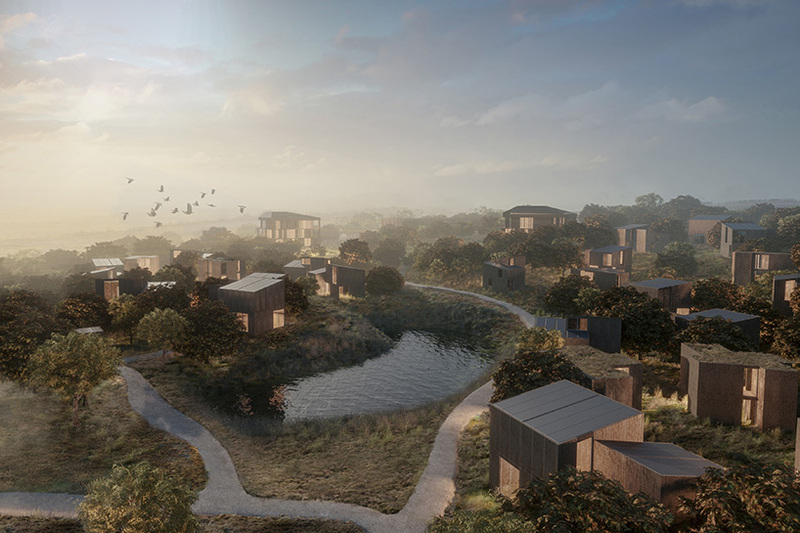 grimshaw's international portfolio covers all major sectors, and has been honored with over 170 international design awards including the prestigious lubetkin prize. 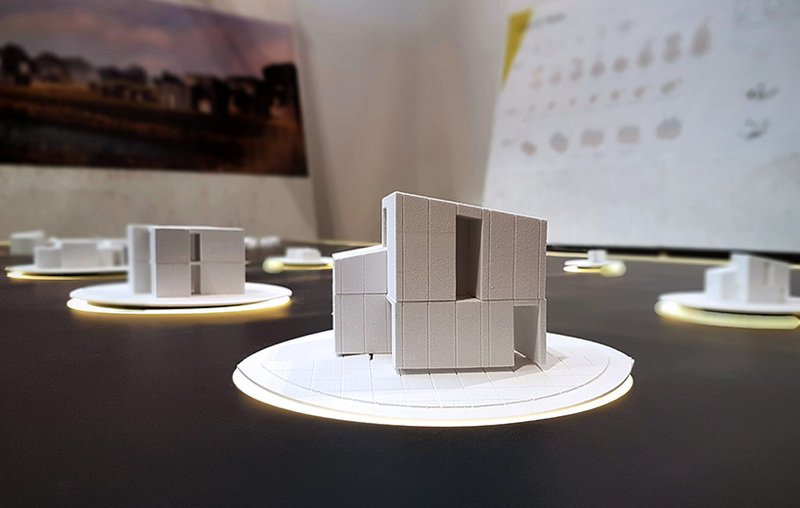 grimshaw has launched a modular, zero-carbon housing model, which uses prefabricated panels to allow for a high degree of customization. named ‘atelio’, the environmentally-conscious concept employs cutting edge technology and recycled materials. 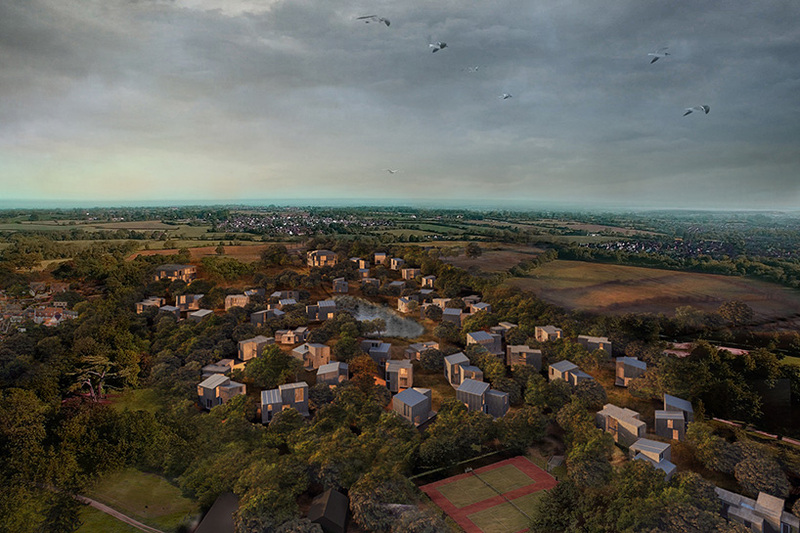 the model enables homeowners, developers, and investors to create an affordable living environment that can be expanded to suit the needs of its owner. 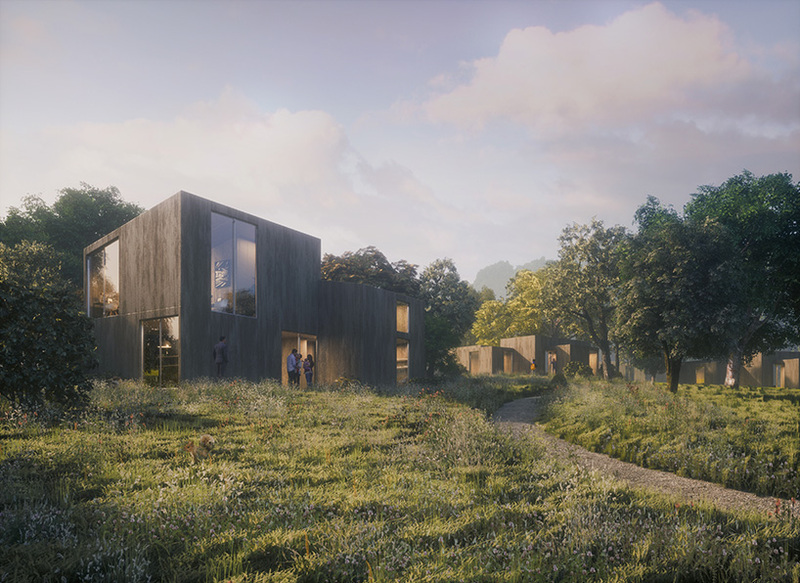 while a singular modular house can be built, the system is designed to work as part of a broader community. 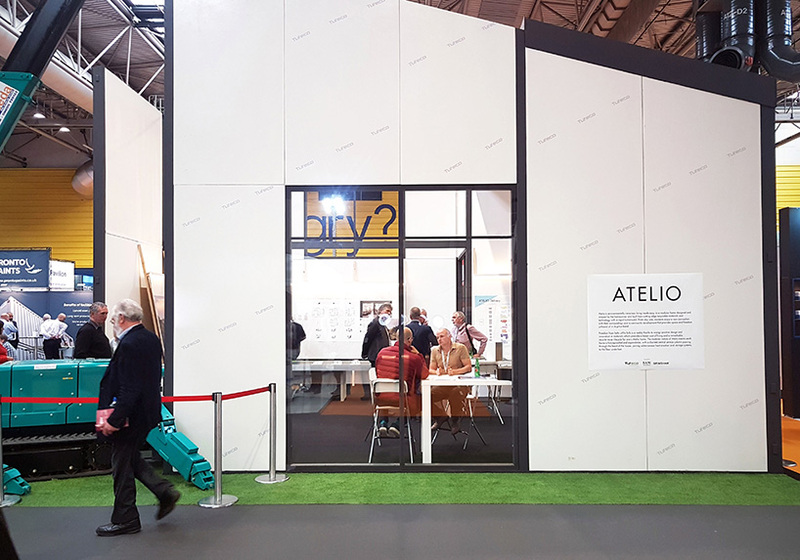 developed by a team consisting of grimshaw, SAM architects, manufacturer tufeco and the carbon free group, ‘atelio’ was unveiled with a prototype installation at the build show for UK construction week. 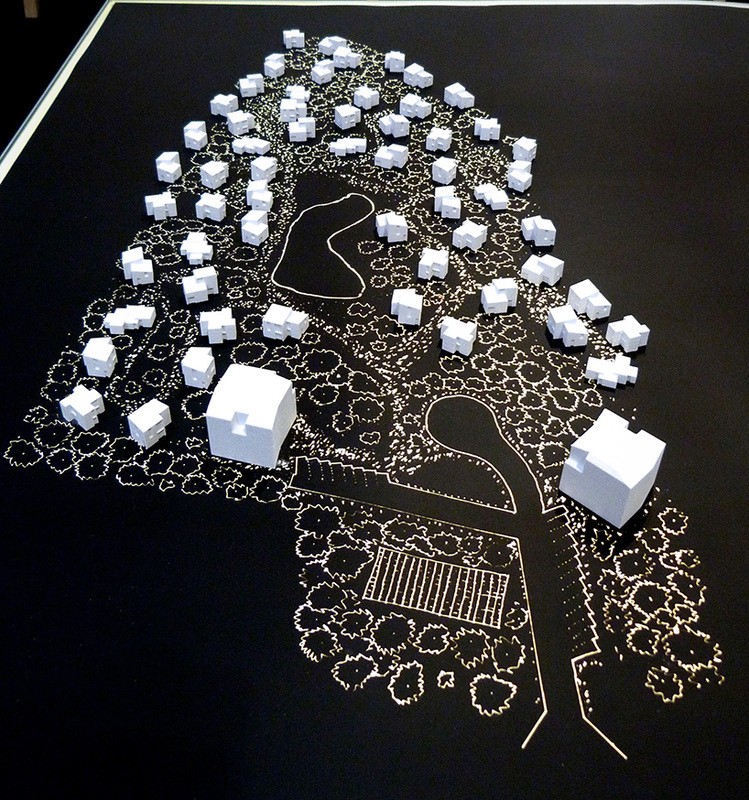 the system provides a diverse set of configurations using prefabricated panels connected along a grid-like system. a discreet central service column passes through the heart of each house, joining subterranean heat and storage systems to the floor underfoot. 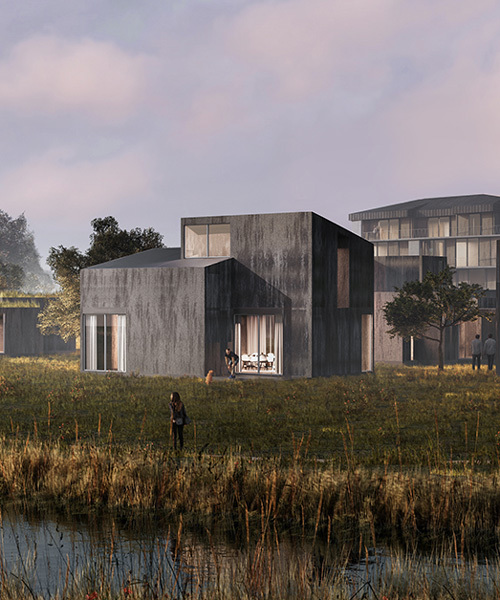 the composite material used to create the system is engineered from recycled materials, while built-in renewable energy systems ensure that each building is rated ‘zero energy’. the product is produced through a fast, automated manufacturing process, which results in an engineered quality controlled product. 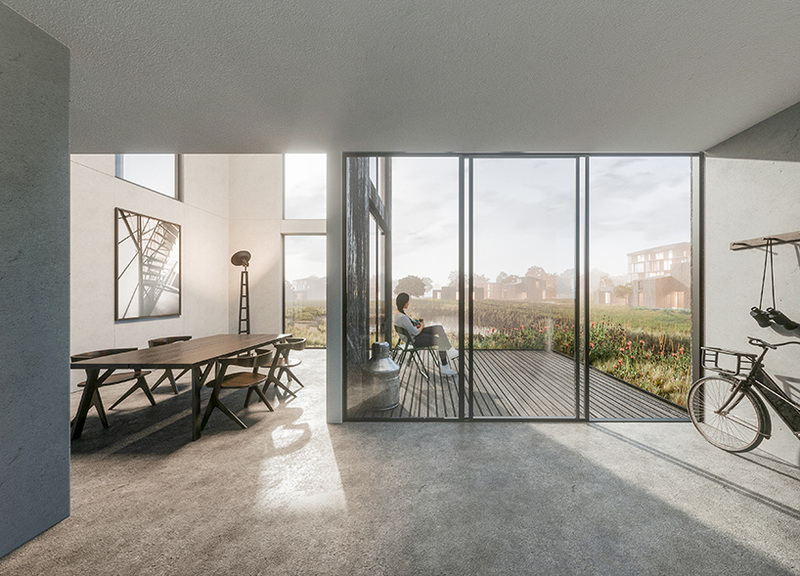 the dynamic digital control of realization — directly from a BIM model to the production line — means that the current time for ‘printing’ an average house is five hours. the shell of a house can be erected within four days, while the fit-out can be completed and ready for occupation within 21 days.